New Brunswick can be unfairly overlooked as people head to neighbouring Prince Edward Island or Nova Scotia. More fool them. They are missing out on one of Canada's unspoiled wildernesses; a playground of rivers, coastal islands, pine forests, mountains, beaches and pretty-as-a-picture villages. As well as outdoor adventures, New Brunswick offers friendly cities with theatres, galleries and French-influenced shops and restaurants. And, because the province is not huge, the best places to stay in New Brunswick let you mix outdoor adventures with city fun. Wildlife-lovers will love the chance to spot Atlantic puffins, blue herons and bald eagles. New Brunswick is on a migration route and Sackville Waterfowl Park is a good base to tick off sightings. Elsewhere, moose and deer can be spotted, while whale-watching trips are also popular with one of the best places being the Bay of Fundy. This bay is worth a visit in its own right boasting the world's highest tides and some extraordinary rock formations. The province also offers more than 50 beaches ranging from the wild and rugged to gentle and sandy and the massive sandbar of Parlee Beach. There are plenty of hiking and biking opportunities - such as in Mount Carleton Park or Sugarloaf Bike Park - winter skiing, kayaking, boating and other watersports. If you prefer to take it more gently, there's a spectacular coastal scenic drive all the way down the coast to Maine. Urban attractions include the Beaverbrook Art Gallery and historic Garrison District in the capital Fredericton; French-inspired shopping in Moncton and Dieppe; the New Brunswick Museum and food market in the port city of St John; and the Kingsbrae Gardens of St Andrews-by-the-Sea. 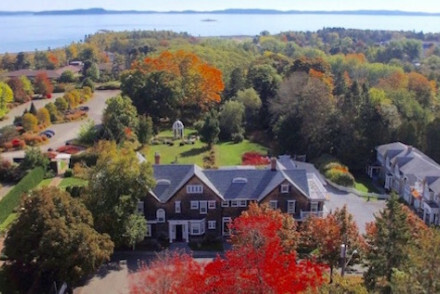 Or take a trip to Campobello Island to visit the Roosevelt Campobello International Park whose chief attraction is the arts-and-crafts-style cottage where the future President grew up and later regularly visited. The best places to stay in New Brunswick are well-placed for letting you enjoy the state's natural beauty and city attractions. The Kingsbrae Arms is a beautifully restored property dating back to 1897 in the pretty seaside town of St Andrews. Elegant rooms offer a raft of original features, plus four poster beds and balconies. The food is gourmet and all ingredients are locally sourced. Nothing here that suits? 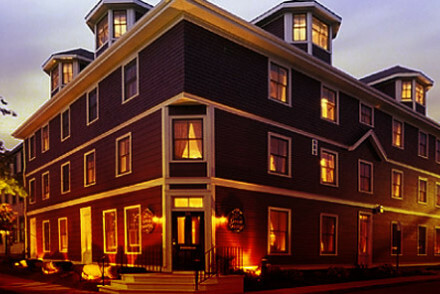 Browse our list of the best places to stay in New Brunswick, or contact a friendly guru for advice. 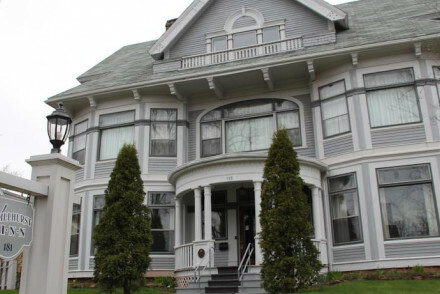 Downtown location makes this luxurious B&B the perfect spot for local adventures. Large rooms are classic in style with antique furnishings, in keeping with the rest of the house. Breakfast in the wood panelled dining room, before a day of relaxing in the library or seeing the sights. Sights nearby - Victoria Park has been guarding the city since 1805 with its canons and fortifications. Great walks - Along the beaches or through historical Charlottetown. Residential B&B prime downtown location for island exploring. Comfort is paramount, with spacious rooms and lounging area. Continental breakfast is served daily, and the kick start you need for your day of business or leisure. A great find in the historical district of town. Romantic Break - The style and elegance of this island B&B make it a lovers paradise- with plush rooms and lush gardens. Foodies - Indulge at the nearby Sims Corner Steakhouse & Oyster Bar for a customised taster menu. Sights nearby - You must not miss out on Historical Province House, just down the road. Great walks - Waterfront offers many city walks and shops to browse. A beautifully restored 1897 B&B in the historic seaside town of St Andrews. Elegantly decorated rooms feature a range of features such as original paneling, beautiful fabrics, four poster beds and private balconies. The gourmet cuisine uses only locally sourced organic produce. Simply charming! Kayaking - St. Andrews offers a wealth of sea kayaking experiences under the direction of professional, courteous guides. Birdwatching - Visit Campobello Island for some magnificant bird watching.